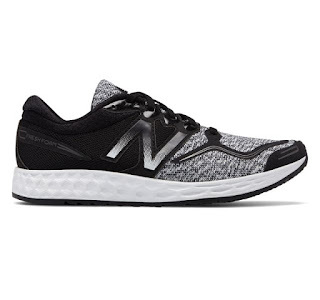 Today only get these Women's New Balance Fresh Foam VEN Running Shoes for ONLY $44.99 (Retail $74.99)! The women's Fresh Foam VENIZ is engineered to get you to the finish line, whether you're running, training or meeting the demands of your everyday schedule. Ultra-plush Fresh Foam midsole cushioning delivers a supportive foundation for every step, and the streamlined synthetic and mesh upper is crafted to give you a swift, smooth ride from heel to toe. Fresh Foam technology combines with a sleek silhouette and a close-to-the-ground profile to give you the sensation of speed and agility, whether you''re on the track or on a deadline. Score $1 Shipping with the coupon code DOLLARSHIP at checkout.